It is no secret that health care costs have ranked among the top concerns of employers for much of the last decade. There is good reason for this concern. Health care costs have outpaced inflation for years, and employers often bear the brunt of these costs, straining limited company resources and limiting their ability to help employees prepare for a successful retirement. If this trend continues unchecked, employers run the risk that their benefit plans will fail to meet either business objectives or employee objectives. We believe that a holistic approach to benefits that considers both health and retirement—and the impact each has on the other—is needed to ensure that objectives are met and benefits budgets are not wasted. As a key ingredient to meeting plan objectives, employers should investigate strategies that impact the source of runaway health plan expenses—unhealthy behaviors. Why should employers care about, and invest company resources in, the health and well-being of their employees? Different employers have different objectives for their employee benefit programs. For example, some may be primarily focused on cost containment, while others are more concerned with employee satisfaction, or attracting and retaining top talent. Regardless of objective, the chances of success can be seriously hindered by unhealthy behaviors. If cost containment is the primary objective, employers need to be aware of the significant impact of employee health issues, even beyond the obvious concern of direct health plan costs. Employee health issues can also have a significant impact in other areas, such as absenteeism, productivity and “presenteeism” (being physically present at work, but functioning at less than full capacity due to illness, stress or other personal issues). Some studies suggest that these indirect costs actually surpass the direct costs of medical care, with one in particular estimating that for every $1 spent on medical and pharmacy costs, an additional $2.30 is spent on health-related productivity costs.12 With employers paying a significant share of these dollars, employee health issues have a considerable impact on the bottom line. As noted previously, baby boomers have significantly greater incidence of medical issues and disabilities than those of the previous generation. The cost of these unhealthy behaviors and related chronic medical conditions will be felt by the employer’s health plan, either through direct claim payments under a self-funded plan, or through premium increases under an insured plan. Dependents’ health issues can also have a significant impact on an employer’s costs, in terms of direct health care expenses (if covered on the health plan), absenteeism for the employee to care for the dependent, and lost productivity. Even employees not covered on the company’s medical plan can still cost their employers through absenteeism and lost productivity caused by their own or their dependents’ health issues. Looking beyond the health plan, retirement plans may also suffer if company resources are continually diverted to cover health care costs and productivity losses. Ultimately, if employers are forced to make cuts to their overall benefits package in order to fund rising health care costs, it may negatively impact employee satisfaction and their ability to attract and retain talented employees. More than ever, employees are being asked to shoulder a larger share of the cost of their employer-sponsored health coverage, through higher deductibles and co-payments, and a higher cost sharing on the health insurance premium. The higher contribution to health care may translate to a decreased ability to save for retirement, which impacts the ability to retire on schedule. Higher health care expenses often result in an employer cutting in other areas, such as pay increases and company contributions to retirement plans. Increased health issues can lead to decreased income due to absenteeism and disability, impacting both current income and future retirement income. Retirees can expect to spend a significant portion of their retirement income on health care expenses. In 2013, estimated health care costs for a married couple in retirement ranged from $151,000 on the low end to a high of $360,000,17 while the average 401(k) account balance in 2012 for participants in their sixties was less than $148,000.18 Stated another way, a healthy couple retiring in one year may need to spend 69% of their Social Security benefits on health care expenses, and that figure could rise to 98% if they are retiring in 10 years.19 With costs of this magnitude, employees need to take steps to lower their health costs, including changing behaviors that can lead to chronic health conditions, and making wise decisions when purchasing health care services. These alarming statistics should be a wake-up call for employers. Unhealthy behaviors may impact employers in many ways, including increased medical costs, absenteeism and lost productivity, and a reduced ability to provide a competitive benefits package. Simply put, unhealthy behaviors may considerably reduce the chances of an employer meeting their overall benefit plan objectives. On the positive side, employers have the ability to help change the course of these rising costs by making proactive changes to their health plan design, as well as providing tools and solutions to help employees lower their health risks and the associated costs. Behavior is a significant driver of health care costs. In fact, according to the CDC (Centers for Disease Control & Prevention) and the IFTF (Institute for the Future), behavior is the major determinant of health, having as much effect as genetics, environment, and access to care combined. The good news is behaviors can be modified, and employers can help employees by providing the appropriate tools to promote changing unhealthy behaviors and adopting new, healthier behaviors that help them achieve their goals. Employers can also adopt plan designs that capitalize on the connection between behavior, health, and the cost of health care and help employees take steps to ensure they lower health risks and costs, and ultimately increase their ability to fund a secure retirement. Plan designs can help to change behaviors and alleviate cost increases in a number of ways. Consumerism aims to change behavior and reduce costs by giving employees more responsibility for managing health care dollars and making wise consumer choices in how they spend them. Examples include high deductible health plans with health savings accounts (HSAs). The HSA provides a tax-preferred savings vehicle for funding current and future health care expenses. Employees who make healthy behavior changes and wise purchasing decisions can potentially lower their own health expenses, leaving unused dollars in their HSAs to fund the cost of their future health care, even into retirement. In addition, employers with limited overall benefits budgets may have the ability to allocate more toward the company’s retirement plan, to the extent that they are lowering their health plan expense through reduced employee health risks and the lower premiums typically associated with high deductible health plans. Another important aspect of consumerism is providing employees with tools that help them to “shop” for health care by comparing the cost of common procedures by provider in their geographic area. Costs can vary widely, and price transparency tools enable them to make better decisions when purchasing health care services. Value-based plans provide incentives to encourage the appropriate use of high-value services and providers that ultimately lead to better health and reduced catastrophic claim costs. A common example is lowering – or eliminating – the prescription cost-sharing for certain medical conditions, to encourage compliance with prescription treatment and reduce the likelihood of a catastrophic claim resulting from failure to properly manage the condition. Another value-based plan design option is the use of tiered provider networks, where the plan pays higher benefit levels for services from providers with the best performance on cost and quality measures. Disease management programs are geared toward individuals with chronic health conditions. The goal of these programs is to educate and reach out to affected members to keep them in compliance with treatment and avoid the potential high costs related to non-compliance. Conditions commonly covered by disease management programs include diabetes, hypertension, asthma, high cholesterol, and depression. Wellness programs have typically included rewards and incentives for participation in certain events (e.g., completing a health risk assessment, participating in an on-site screening event, joining a gym, or logging nutrition and exercise data). Fifty percent of wellness programs include some type of financial incentive.22 More recently, programs are including outcomes-based incentives rather than just participation-based, with the goal of impacting behavior and health care costs. Wellness programs, in particular those with outcomes-based incentives, are subject to compliance with a number of regulations, including HIPAA, GINA, ADA, COBRA and ERISA. The health care reform legislation passed in 2010 (Patient Protection and Affordable Care Act) increased the maximum allowed incentive to 30% of the full cost of coverage in an employer health plan, and up to 50% for tobacco cessation programs, beginning in 2014. The full cost of health coverage includes both the employer and employee shares of the premium. This legislative change, along with the increasing focus on the effect of behavior on health, has provided momentum for growth in the offering of wellness programs as employers seek ways to change behaviors and mitigate future increases in their health care expenses. The economic difficulties faced by many in recent years have taken their toll on the health of Americans. To help combat this added stress, employers may want to incorporate a financial wellness program alongside their health promotion program. The focus of a financial wellness program is improving saving and spending habits to help employees reach their financial goals. Employees may be struggling to save for both retirement and ongoing health care expenses, as well as meeting day-to-day financial demands. A financial wellness program can help them to look at their benefits holistically and make choices that further their overall financial goals, which can, in turn, positively impact their health. Providing education on this connection between health and wealth issues can improve both physical and financial wellness, potentially lowering health care costs and leaving more money available for retirement savings. Employers have many options to choose from when designing a wellness program for their employees. Listed below are some common components that may be included, as well as issues for employer consideration. A key component of any wellness program is measuring results. Yet most companies offering wellness programs do not have a formal process in place for measuring ROI—the savings achieved by the program compared to the cost of implementing and managing it. Only 17% of companies in a 2011 survey strongly agreed that their program effectively tracks ROI.23 Another study found that 88% of companies surveyed had insufficient data to measure ROI.24 While few would argue against the importance of measuring results, the difficulty lies in determining what to measure, how to measure it, and whether the results can be definitively attributed to the wellness program. Complexities arise as health plan costs as a whole may continue to increase even though health risks are being reduced, and employers struggle with how to measure cost avoidance (if claims are never realized due to early detection or changes in behaviors brought about by the program). Different employer objectives will lead to different measurements to determine the success of the program. For example, an employer whose main objective is cost containment may be more focused on health claim costs, absenteeism and disability claims, while an employer with an objective of employee satisfaction may be more concerned with changes in health risk status and satisfaction rates. Similarly, a primary objective of recruiting and retention may lead an employer to measure success by increases in employee savings and satisfaction rates, for both the wellness program and the benefits package as a whole. A wellness program can help an employer to meet their benefit plan objectives; whether that objective is improving employee health and reducing the risk of future high cost claims, increasing employee satisfaction, or improving recruiting and retention efforts. However, such programs, if not properly implemented and managed, can run afoul of various legislation, namely HIPAA, GINA, ADA, COBRA and ERISA. Given the many legal ramifications of providing a wellness program, employers should consult with their legal counsel to ensure their program is fully compliant. Wellness matters to employees, and it should be equally concerning to employers. With health care consuming a considerable portion of many employers’ budgets, it only makes sense for employers to protect their investment by helping employees to optimize both their health and wealth outcomes, and ensuring that their benefit plans meet their primary objectives. A well thought-out wellness program – including both health promotion and financial components—can be a key part of a holistic benefits plan designed to achieve specific employer and employee objectives. Taking proactive steps now to prevent or reduce the incidence of chronic illness, and giving employees tools to assist them with planning for their future health and wellbeing, can produce a positive return in the form of a healthier, more productive workforce that is prepared for a successful retirement. 1Centers for Disease Control and Prevention, “Fast Facts – Smoking & Tobacco Use,” April 24, 2014. Data shown is for 2012. 2Reuters, “As America’s Waistline Expands, Costs Soar,” Sharon Begley, April 30, 2012. Data shown is for 2009. 3USA Today, “Rising Obesity will Cost U.S. Health Care $344 Billion a Year,” Nanci Hellmich, November 17, 2009. 4Centers for Disease Control and Prevention, “Diagnosed Diabetes Grows at a Dramatic Rate Throughout the United States,” November 15, 2012. 5Centers for Disease Control and Prevention, “2011 National Diabetes Fact Sheet,” 2011. 7VolkBell, “Behavioral Health Costs Account for 6% of Health Plan Spending,” Lisa Gillespie, June 6, 2012. 8Employee Benefit News, “Baby Boomers Living Longer – but Sicker – than Previous Generation,” February 5, 2013. 9World at Work Journal, “The Aging Workforce: Challenge or Opportunity?”, 3rd Quarter, 2006. 10Research Works: Partnership for Workplace Mental Health, “Employee Personal Financial Distress and How Employers Can Help,” February 2009. 11American Psychological Association Practice Organization, “Psychologically Healthy Workplace Program Fact Sheet: By the Numbers,” 2010. 12National Pharmaceutical Council, “Most Employers Underestimate Full Costs of Employee Health on Productivity,” April 13, 2009. 13Change Healthcare, “Affording the Affordable Care Act: Engaging Employees in Finding Lower-Cost Preventive Care,” March 2012. 14Mercer, “The Total Financial Impact of Employee Absences,” October 2008. 15USA Today, “Stress Over Debt Taking Toll on Health,” June 8, 2008. 16“It’s Time to Create a Financially Literate Workforce to Improve the Bottom Line,” Aimee D. Prawitz and E. Thomas Garman, Personal Finance Employee Education Foundation. 17“Amount of Savings Needed for Health Expenses for People Eligible for Medicare: More Rare Good News,” Employee Benefit Research Institute, Notes, October 2013. 18“What Does Consistent Participation in 401(k) Plans Generate? Changes in 401(k) Account Balances 2007-2012,” Employee Benefit Research Institute, Issue Brief 402, July 2014. 19Health View Services Financial, “Middle Class Americans’ Retirement Health Care Costs on Path to Exceed Social Security Benefits,” 2014. 20The Institute for the Future, “Health and Health Care: The Forceast, the Challenge,” 2010. 21Kaiser Family Foundation and Health Research & Educational Trust, “Employer Health Benefits 2013 Annual Survey,” 2013. 22Benefits Magazine, “Wellness Incentive Strategies That Work,” Kristie Zoeller Howard, October 2012. 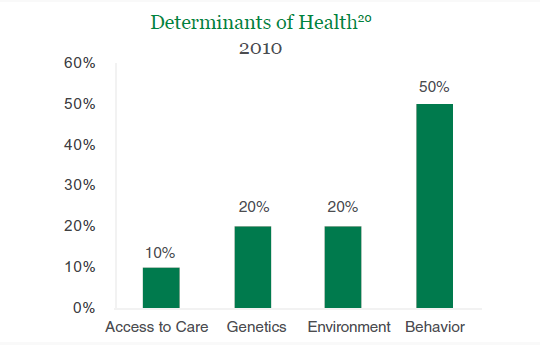 23Optum, “Wellness in the Workplace 2012: An Optum Research Update,” 2012. 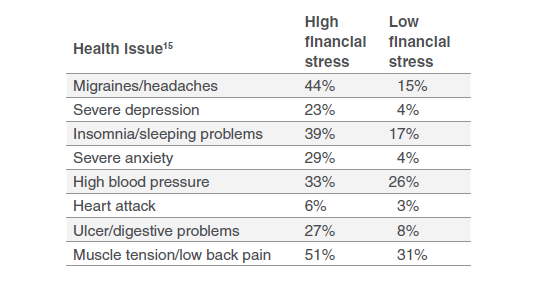 24PricewaterhouseCoopers, “Health and Well-Being Touchstone Survey Results,” May 2012.